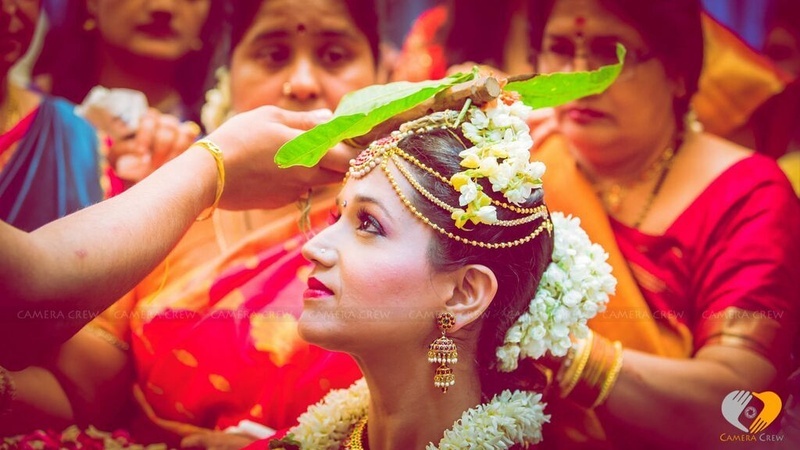 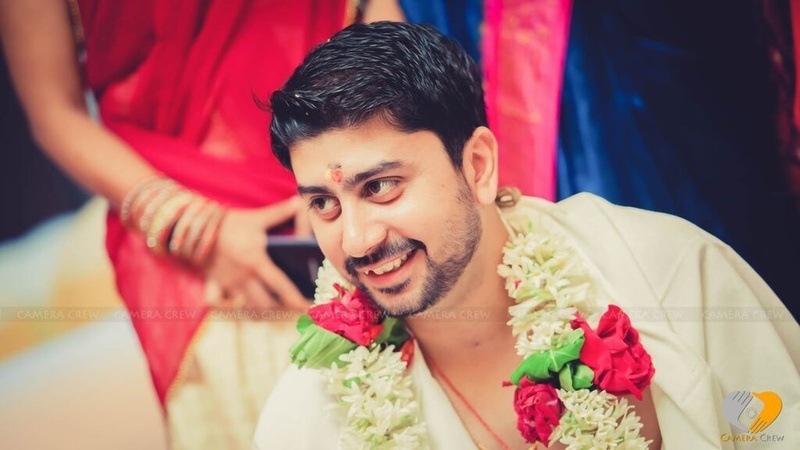 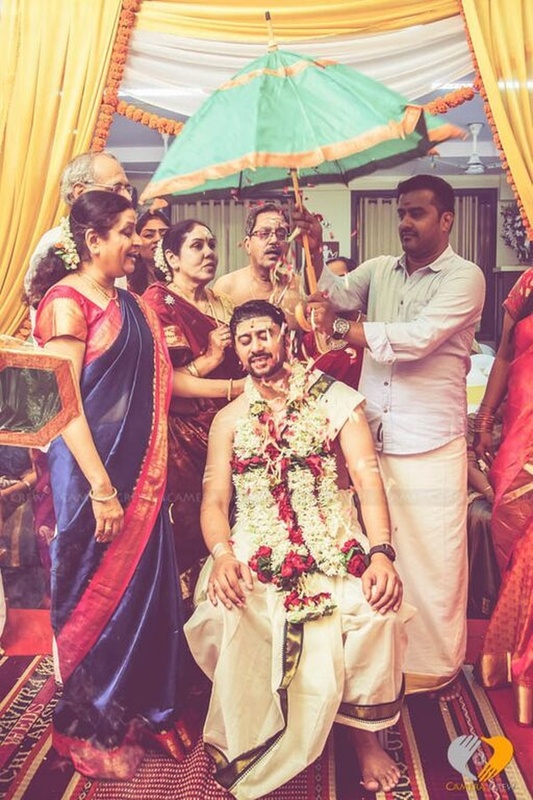 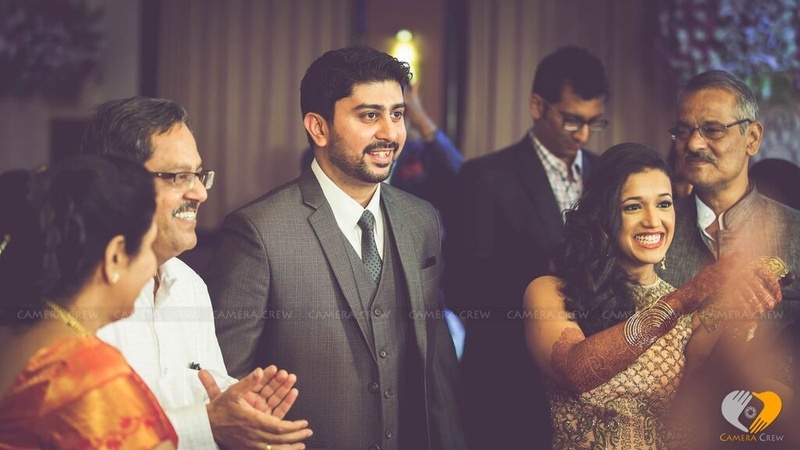 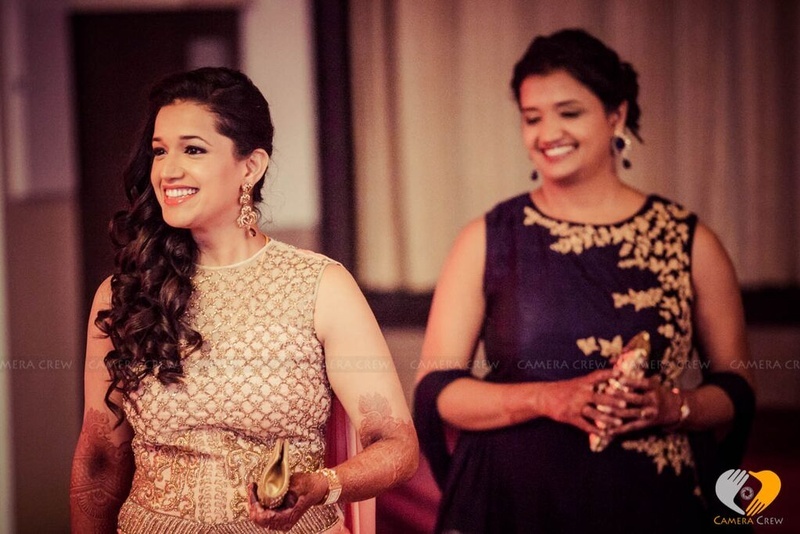 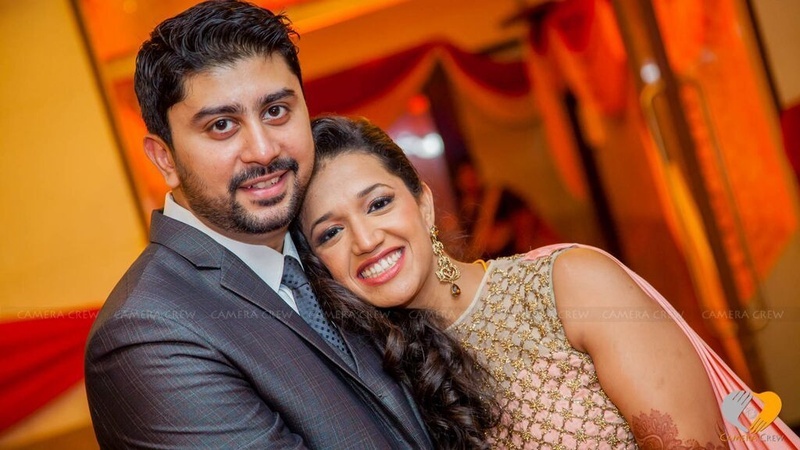 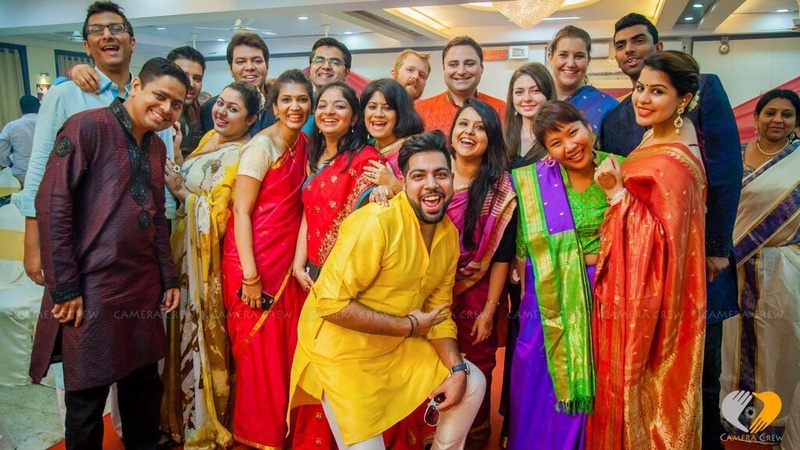 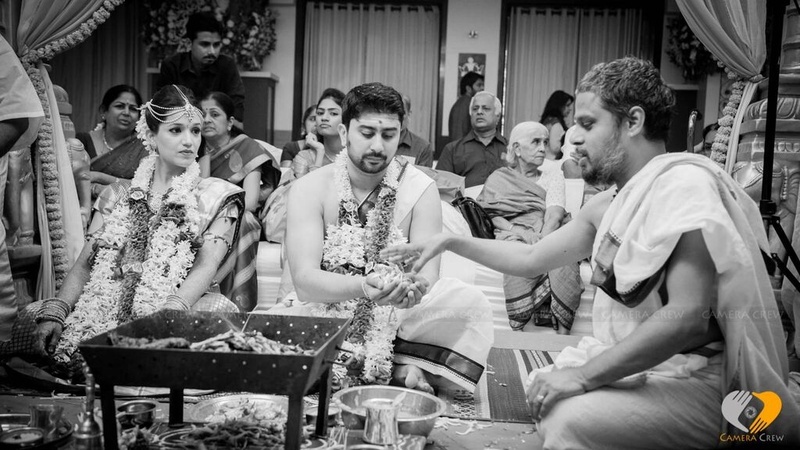 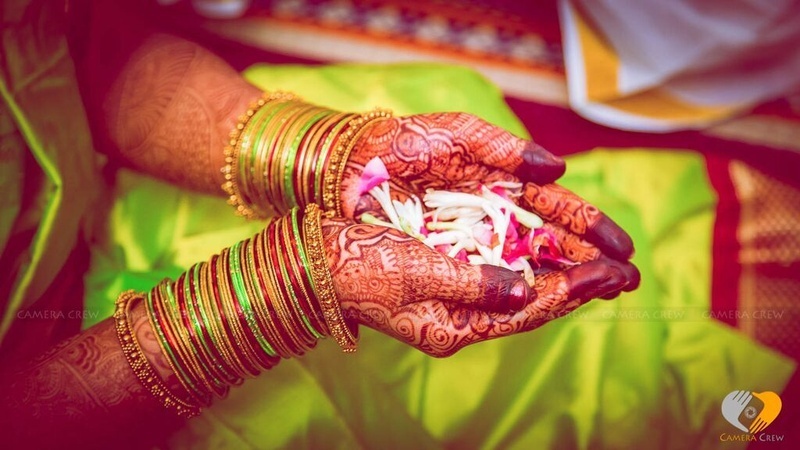 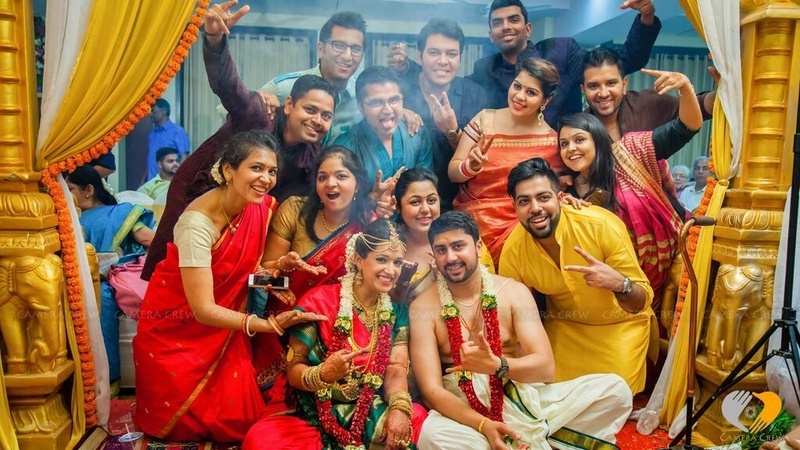 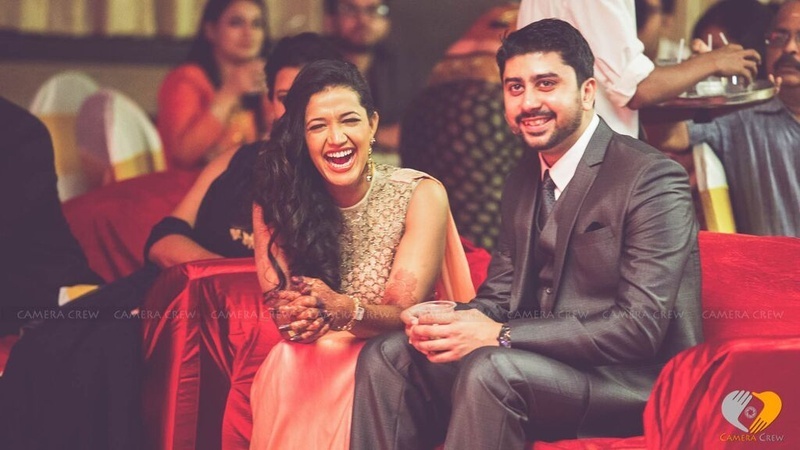 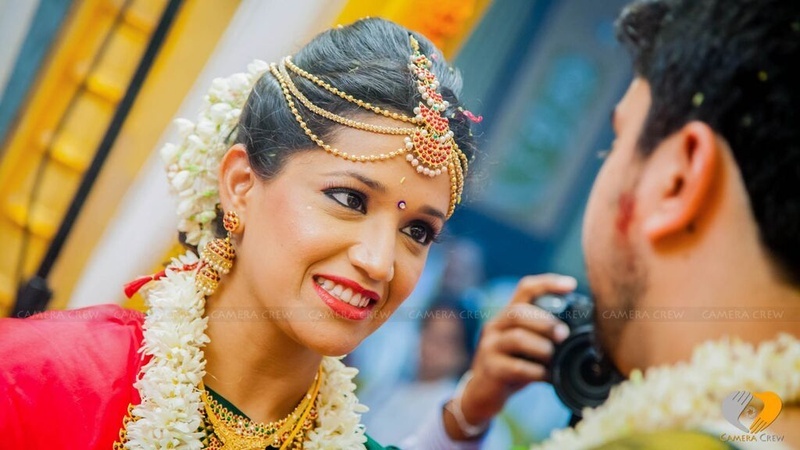 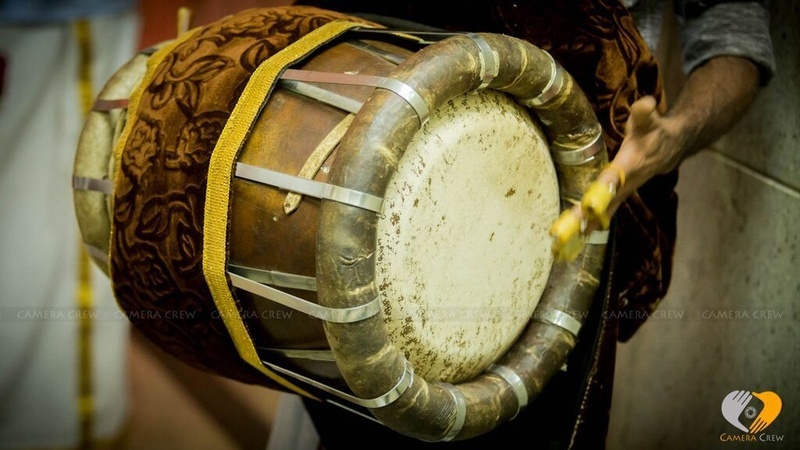 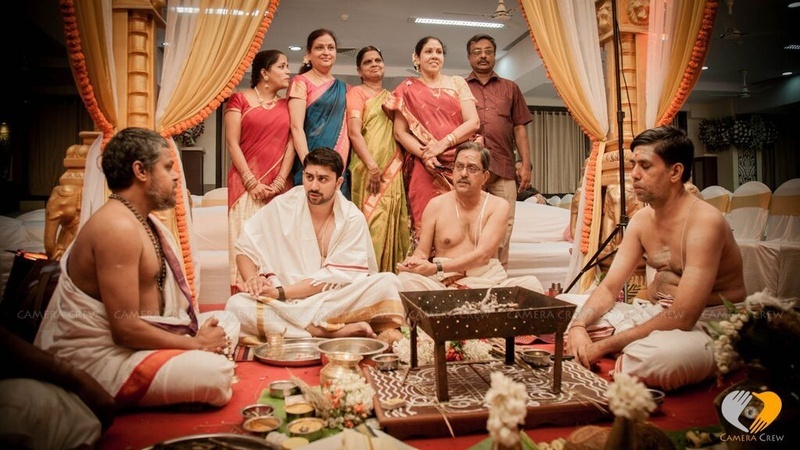 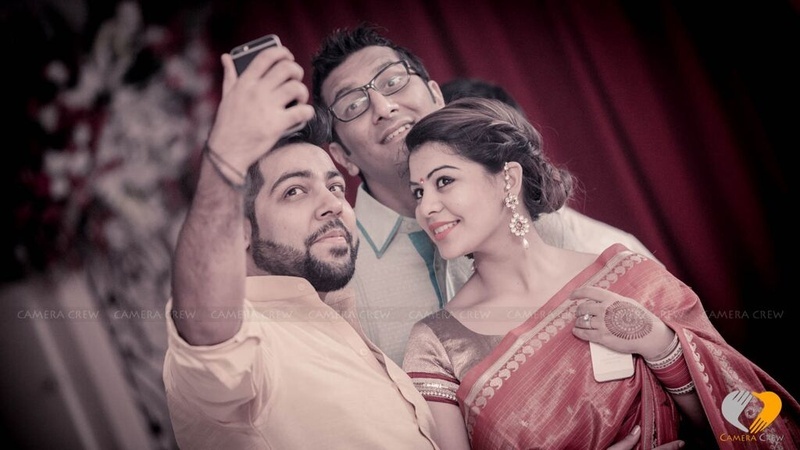 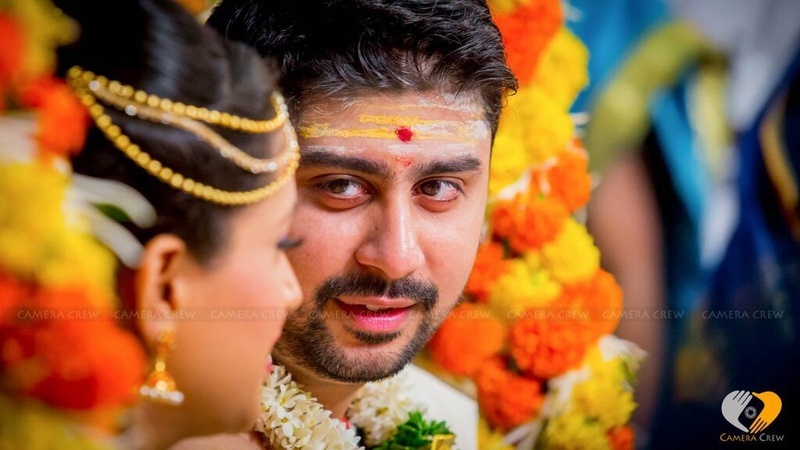 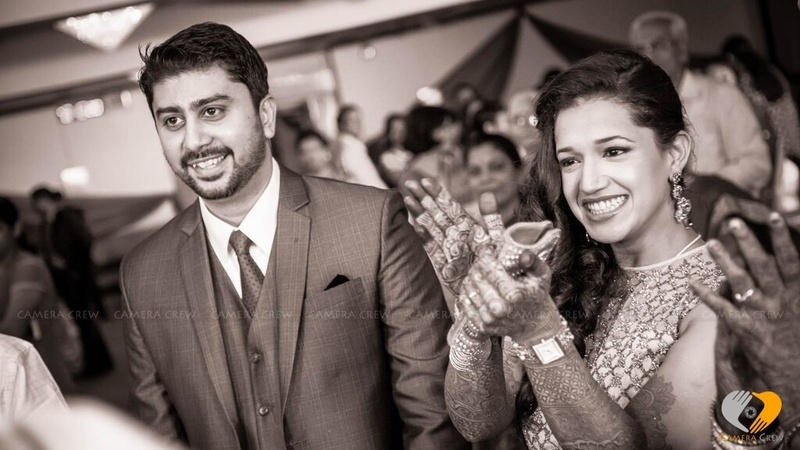 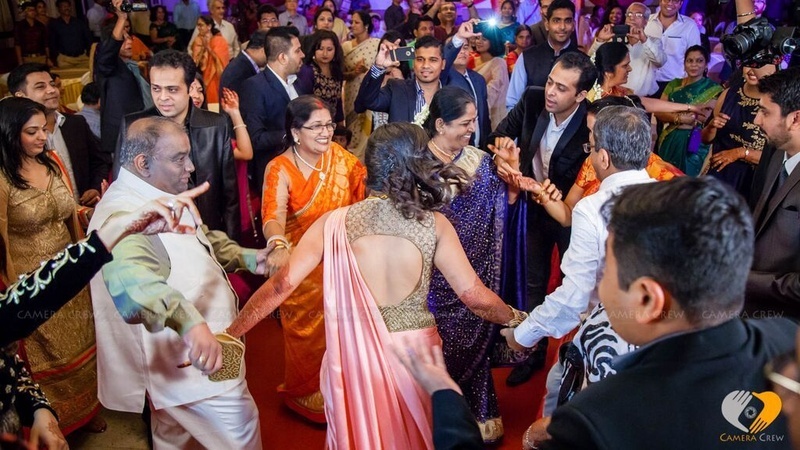 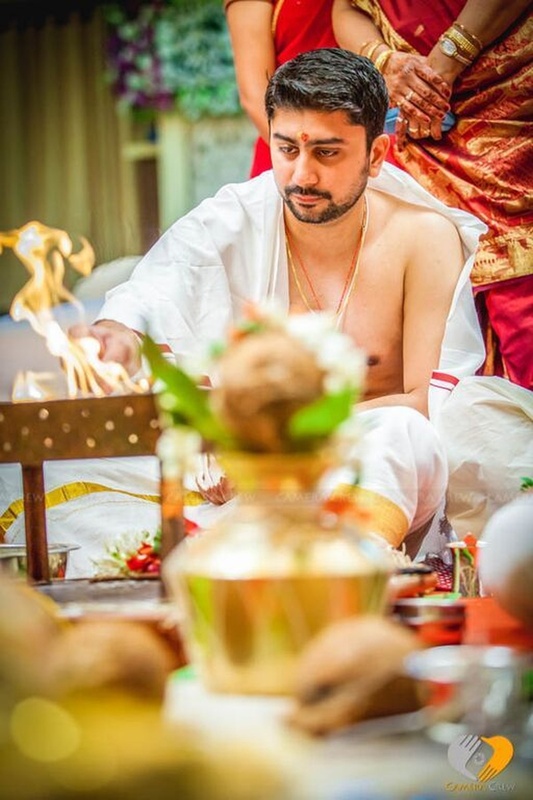 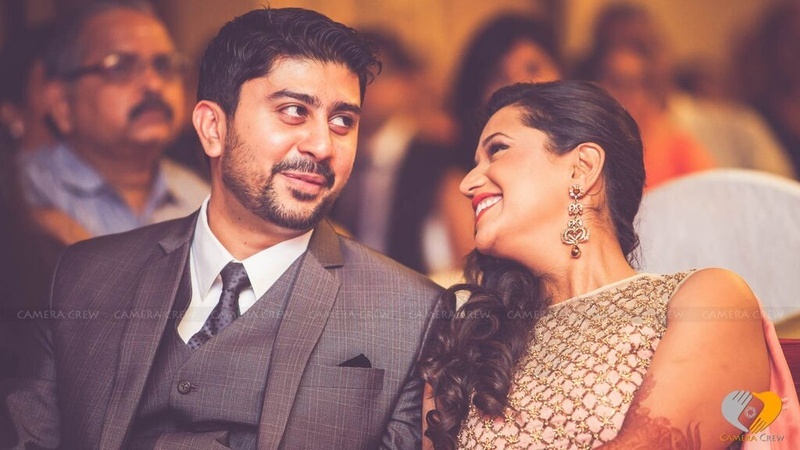 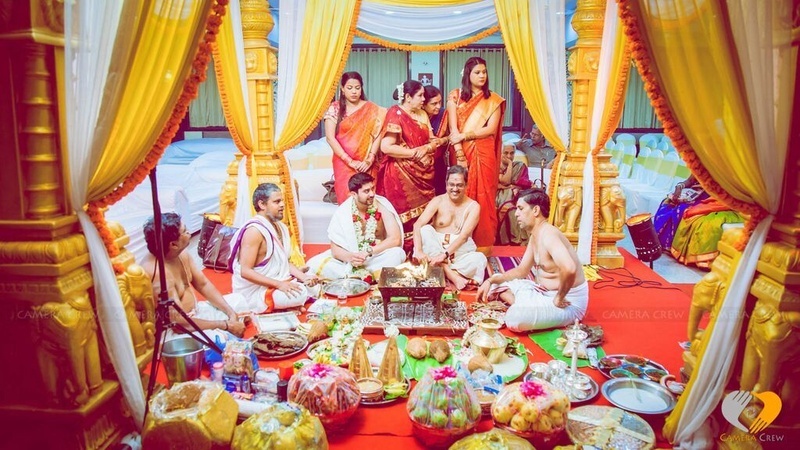 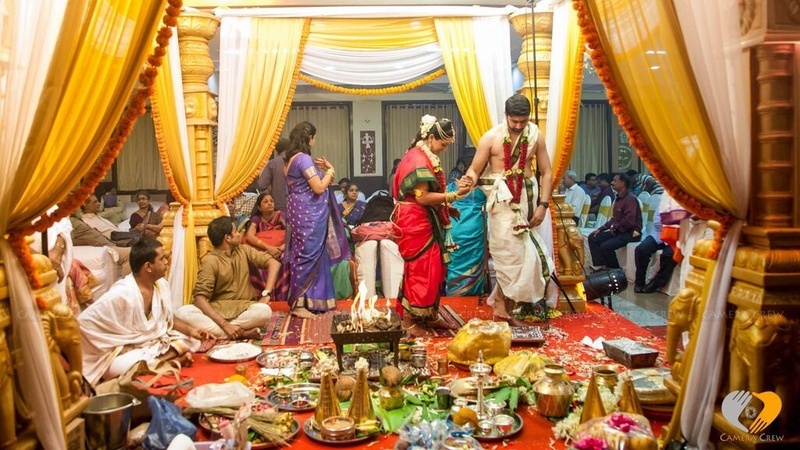 Akshay and Pavitra got married in a fascinating South Indian wedding ceremony held at the HVPS hall. 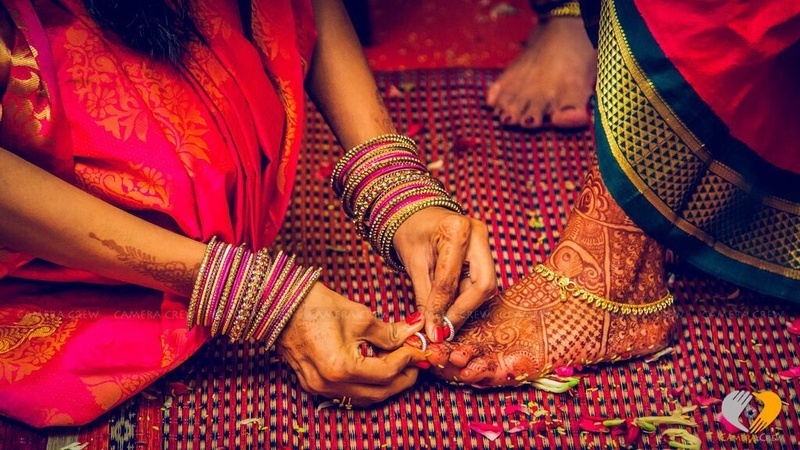 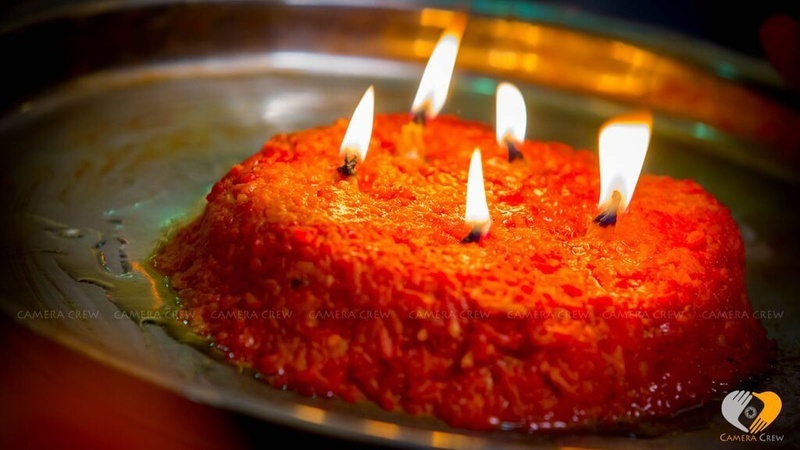 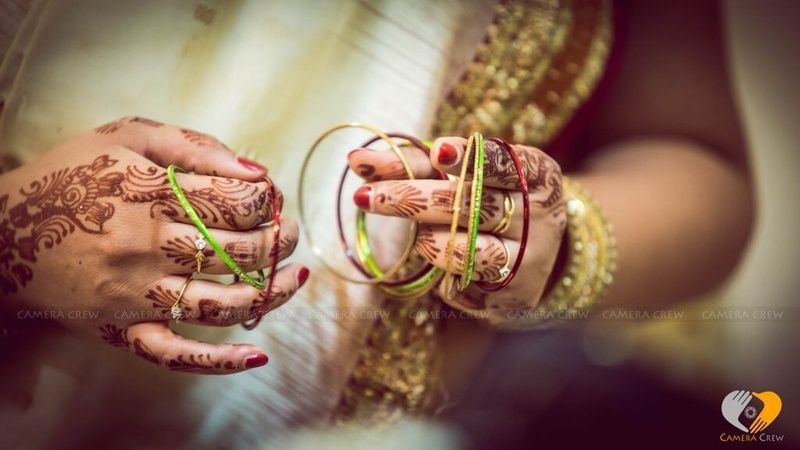 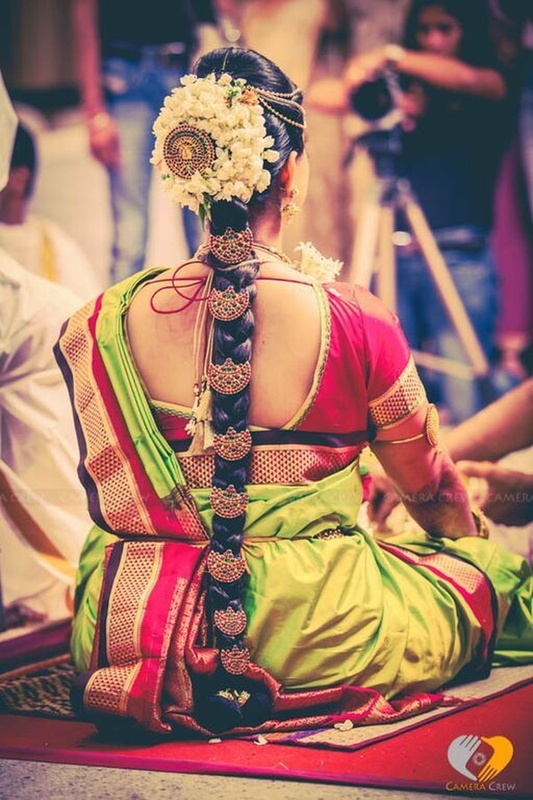 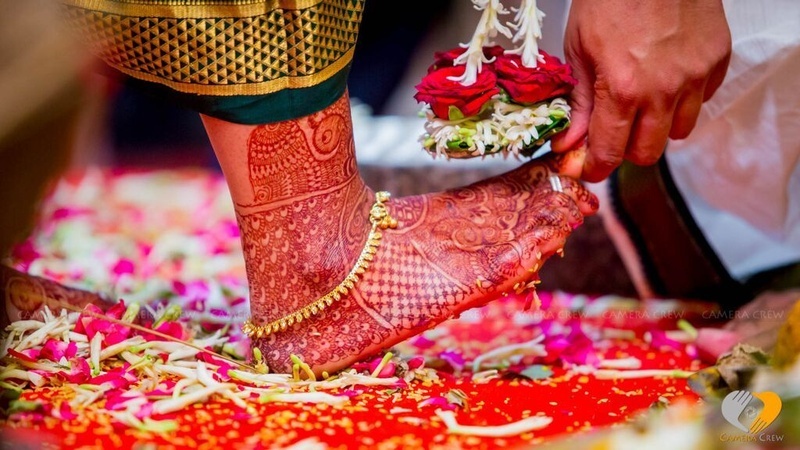 For folks who hate lengthy weddings, wed South Indian style! 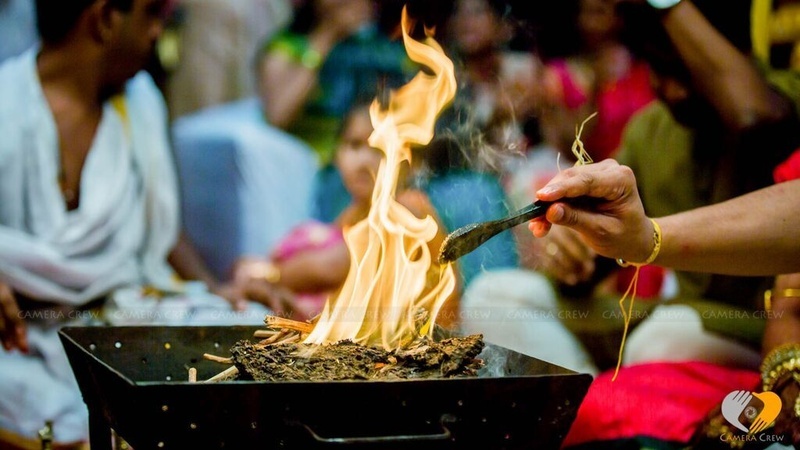 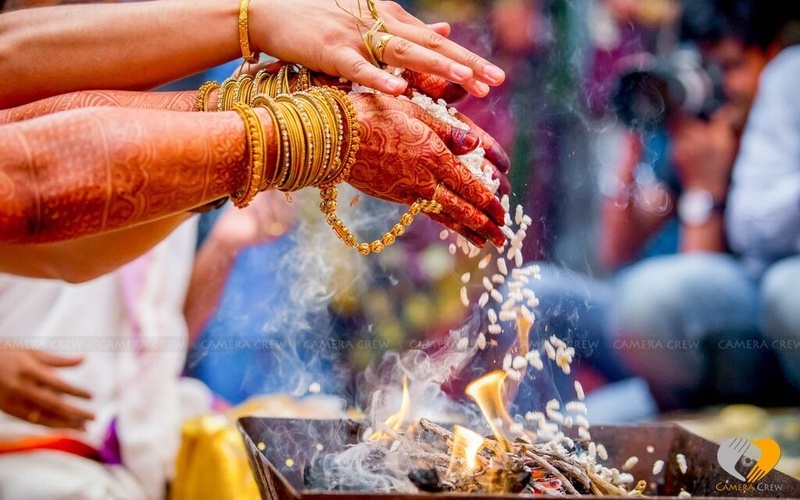 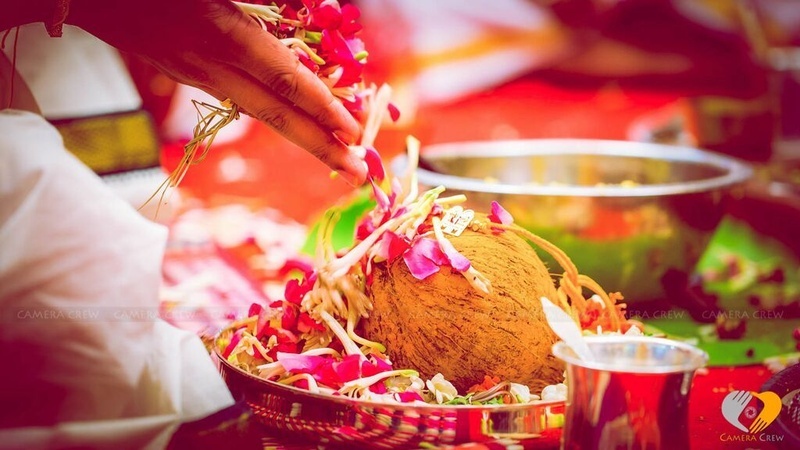 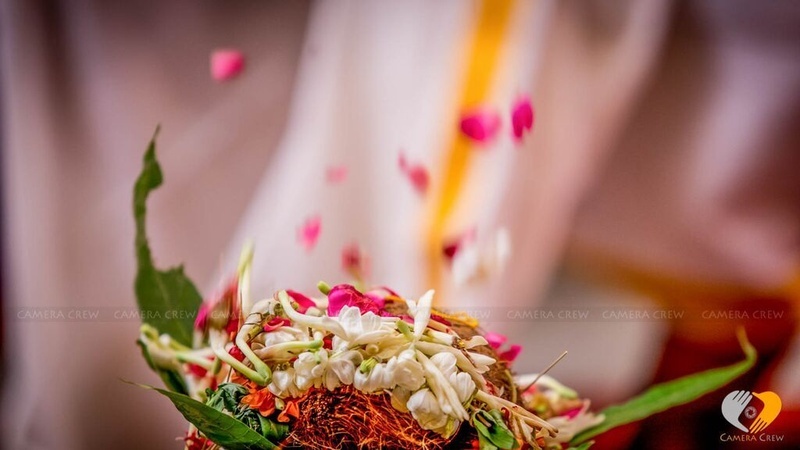 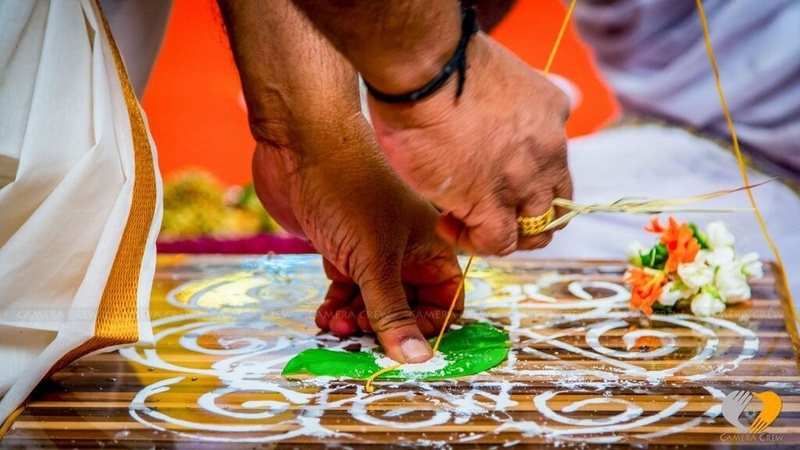 The rituals and ceremonies are simple, meaningful and less cumbersome. 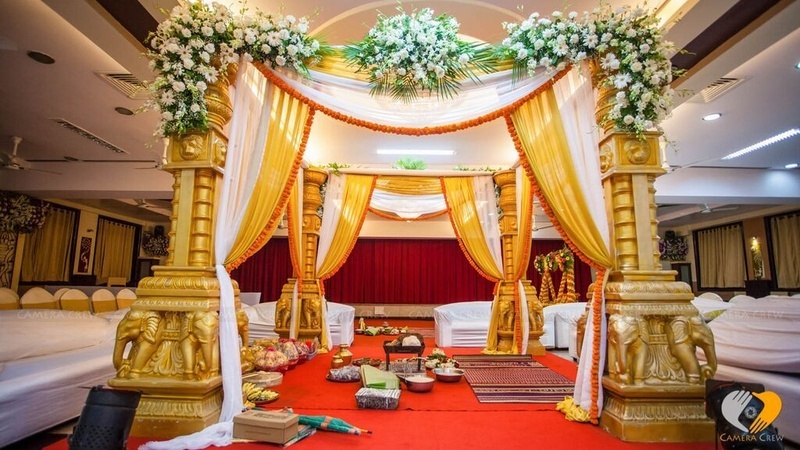 The stately vedi mandap flanked by four carved gold pillars, white and yellow swag drapes and fresh flower decor added an element of grandeouse to the wedding decor. 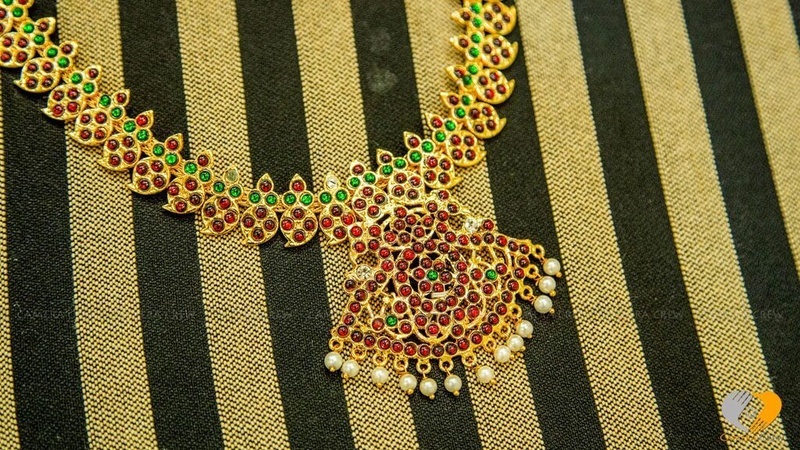 It was ornate, yet stately, imposing, yet elegant. 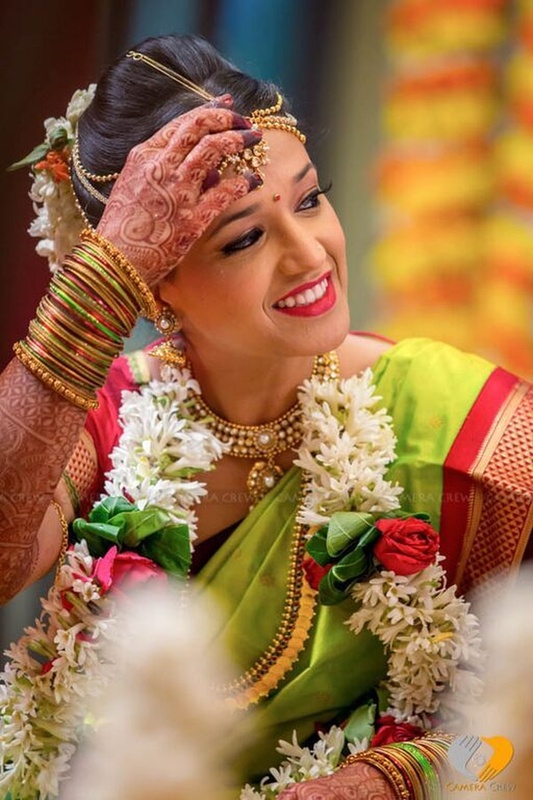 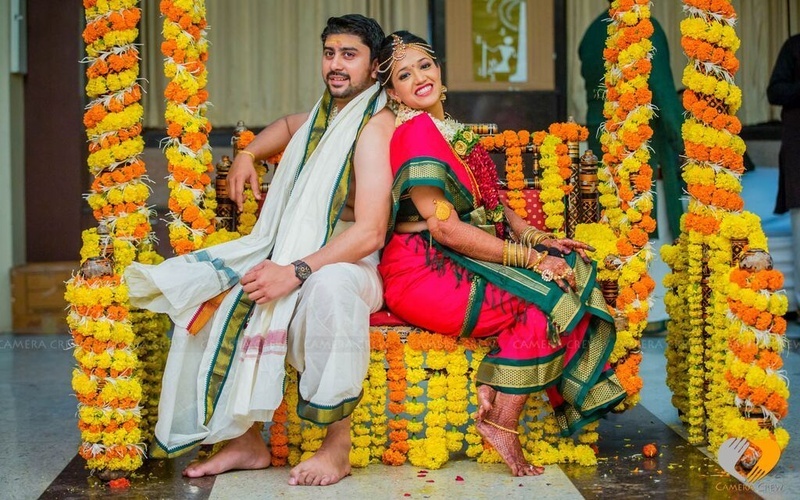 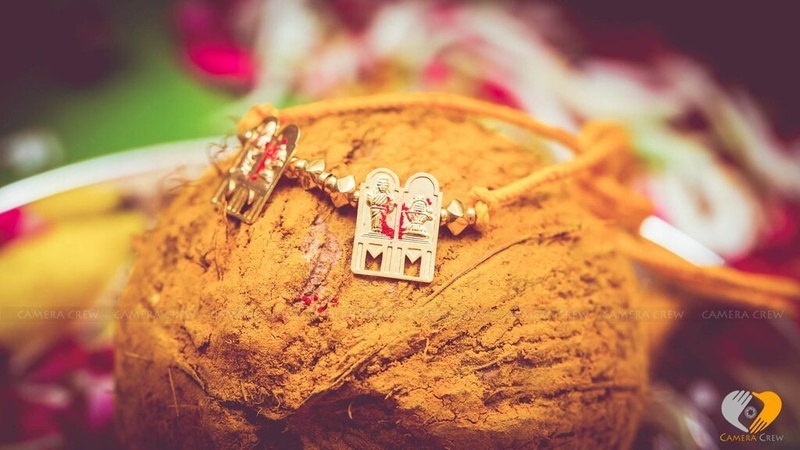 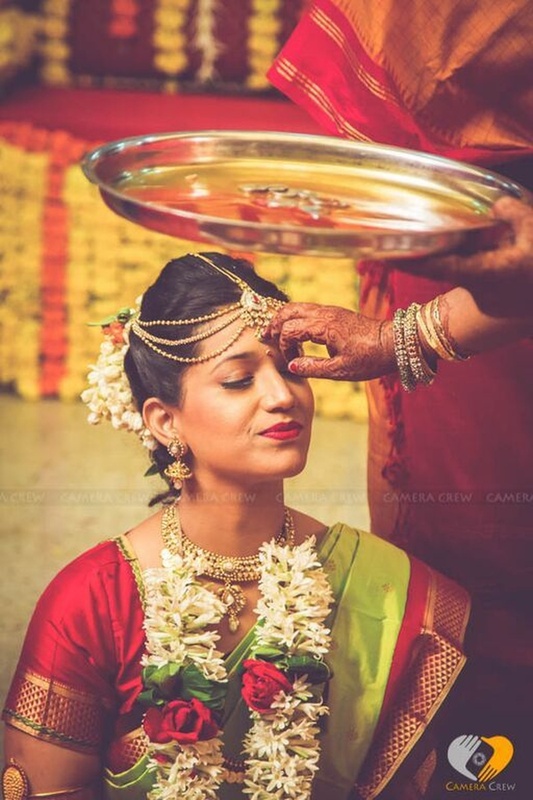 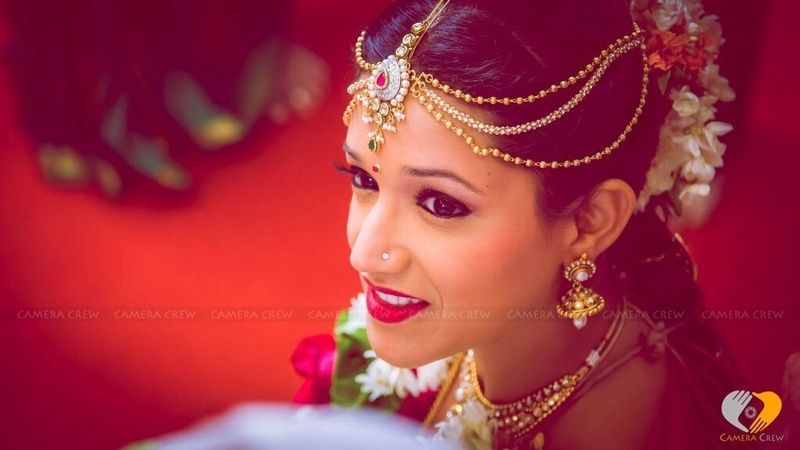 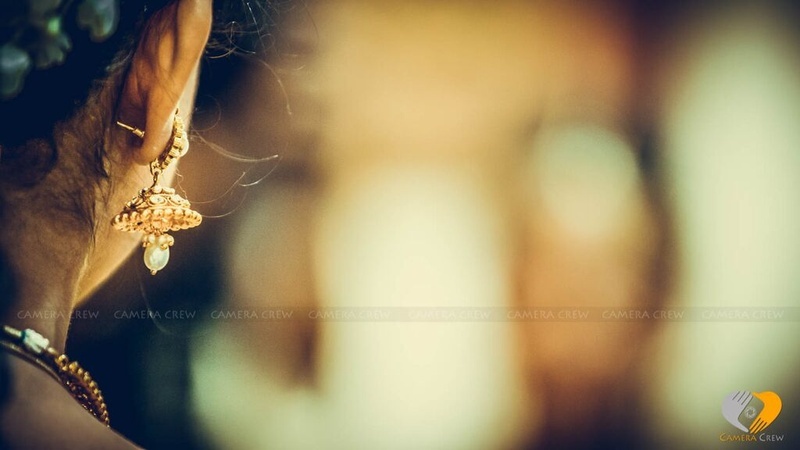 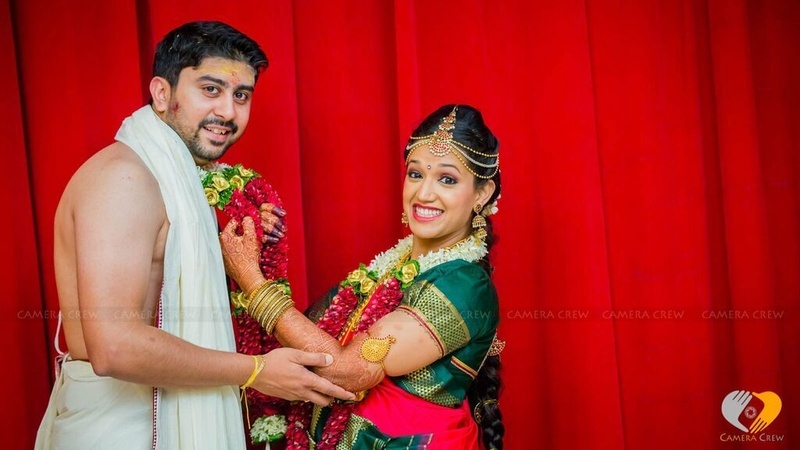 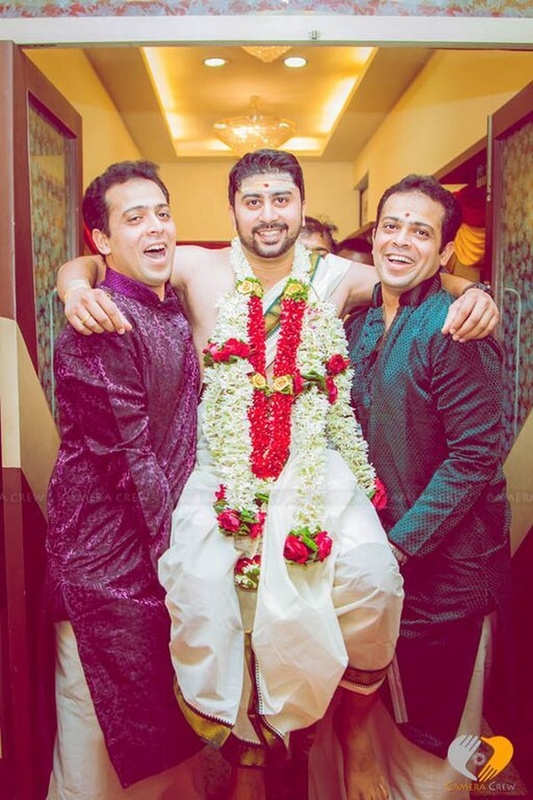 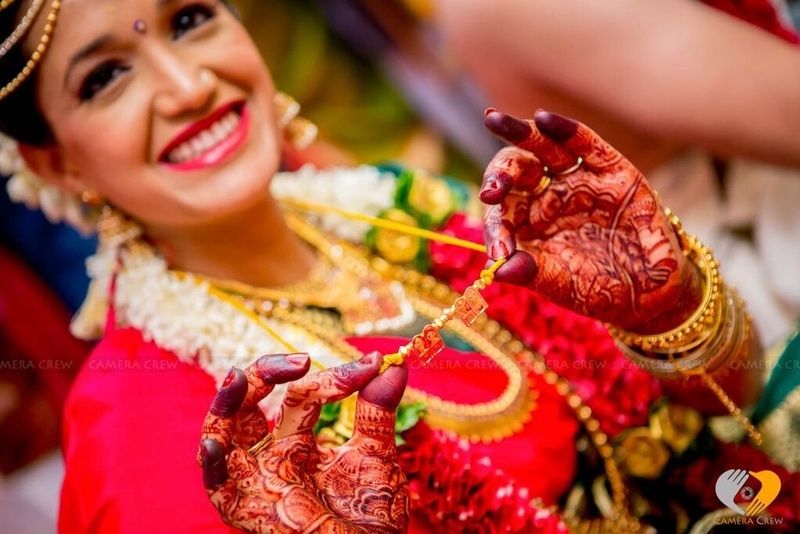 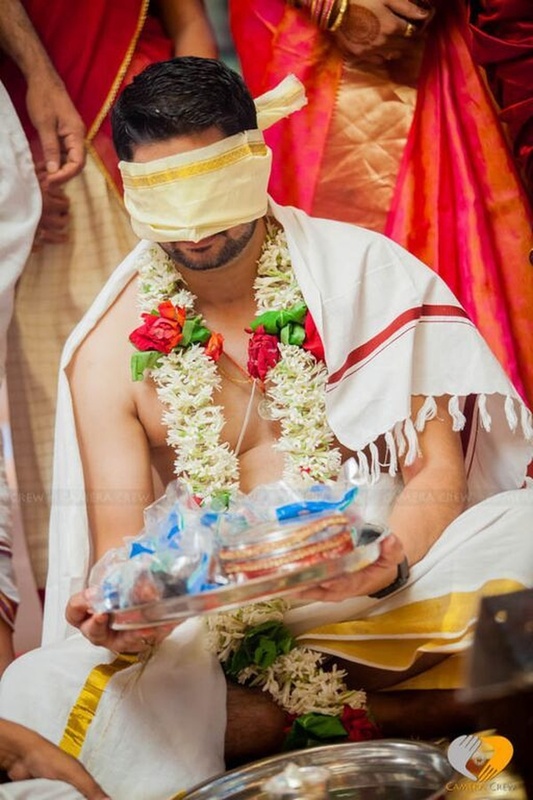 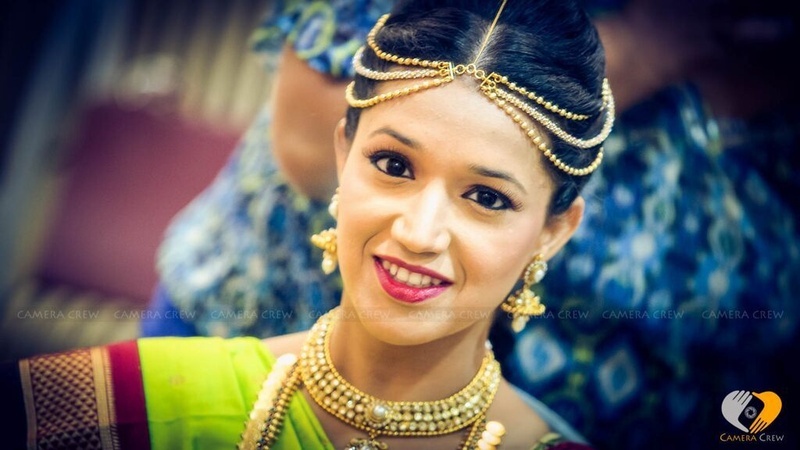 The groom wore the traditional lungi, angavastra, janeu and tilak, while the bride sparkled in a purple and gold Kanjivaram beautiful gold jewellery, stunning bridal make up and intricate bridal mehendi. 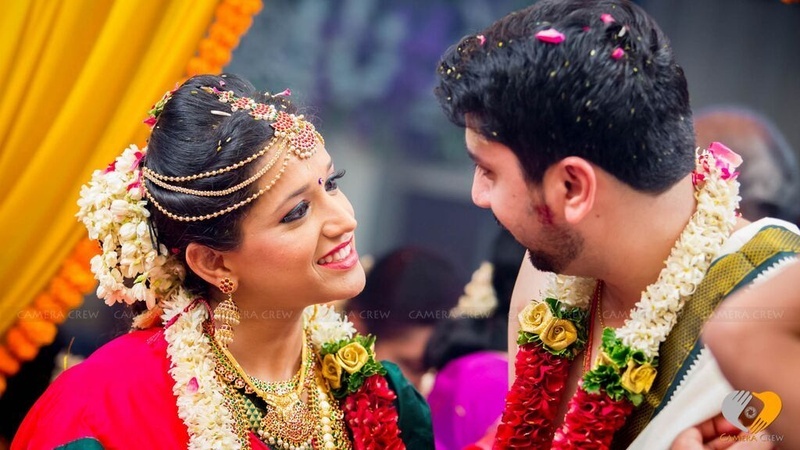 This traditional wedding had a suprising contemporary twist when it culminated into a post wedding reception where the bride's peachy pink wedding gown stole the show.